A work of art, both visually and sonically. The custom-engraved scrollwork pays homage to the carnival sideshows of the 1930s and 1940s, where tattooed ladies mesmerized their wide-eyed audiences. Tattooed Lady is on tour with several of ddrum's top artists, and has already emerged as a road-tested winner. 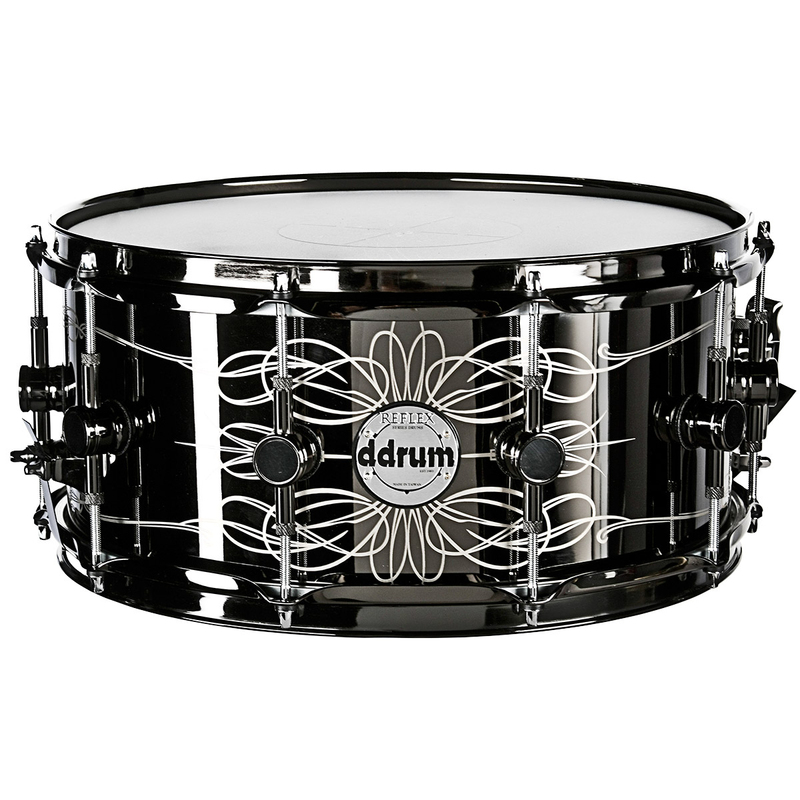 The rolled steel shell provides great cut and presence, while the black nickel plating subtly controls the sound. All while providing a gorgeous look that will fit in behind any drum set.